I am way past due for posting a new house tour. These are from the last house we owned a few years back in Indiana. Most of these projects are still popular on Pinterest, so there’s a chance you found my blog through something you’ll see below! One day I’ll have these updated to our new home, but for now if you want to see where we live currently, check out this post. Once we decided to build our home, I started researching exterior color combinations. During my search I stumbled across a gorgeous photo of a grand home with green stucco, red and white accents, and a wood garage. I fell in love, and knew I wanted something similar for our home. Since we live in a deed-restricted community, there were certain requirements we had to follow; but, I am truly thrilled with how the colors worked out. We ended up with cactus green siding, red shutters and brick, and white accents. Check out my landscaping Pinterest board! Check out my outdoor spaces Pinterest board! This space welcomes all of our guests to our home, so I really want to make it cozy. It also connects to the formal living room and has sight-lines to the back of the house. Learn how to make your own wooden foyer storage here. Check out my foyer Pinterest board! This is the first room our guests see when they enter our home, and it houses my piano. I want to make it a “formal” space in the sense that there will be no television, and I’d love for friends & family to gather here when they come over. My goal is to have this space serve as an old-fashioned parlour of sorts. Check out my living room Pinterest board! My original plan for this kitchen was to have white cabinets with a dark glaze, a dark countertop, and stainless appliances. But, with our home being only semi-customizable, we weren’t able to go for that look. Glaze wasn’t an option at all with our builder, and I knew I didn’t want stark white cabinets, so I went with a dark cabinet stain. The counters are a granite-like laminate (which I love! ); and as you can see, we went with black appliances. Normally, I would not go this dark in a kitchen, but we get so much light in that it really works! The result is a modern yet homey space. Check out my kitchen Pinterest board! The back of our home is one big, open space. The dining nook connects the kitchen and the family room, and is our main eating area. I recently painted the spaces with a beautiful light gray, and a dark charcoal color, and currently I’m making changes to our existing dining room table so it flows better with the new aesthetic I’m going for. Check out my dining room Pinterest board! Ahh … this is the hub of our home. I have been working on a ton of changes in here. The goal has been to create a neutral space that is comfortable and inviting. Check out my family space Pinterest board! Technically the dining room, this space next to the kitchen has become a fun play area for my two sons and their friends. I am keeping the walls white so the bright toys and artwork can shine. Check out my playroom Pinterest board! 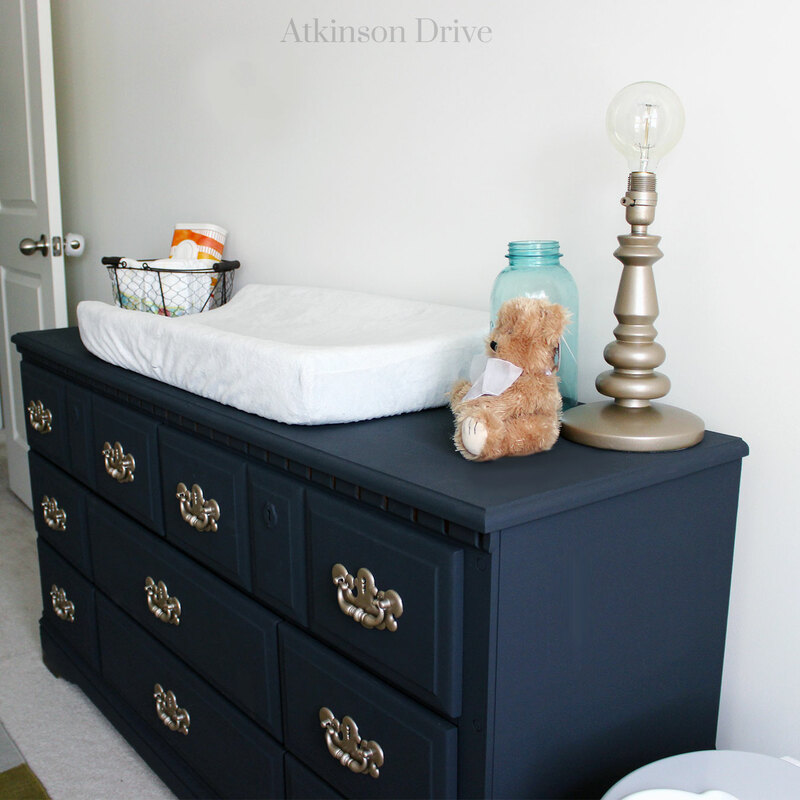 Check out my guest room Pinterest board! This space gets a ton of use! Not only do we do laundry daily in here, this is our main family entrance to the home. I have completed a few practical projects for this room, but the pretty hasn’t been injected yet! My goal? Storage, storage, storage! 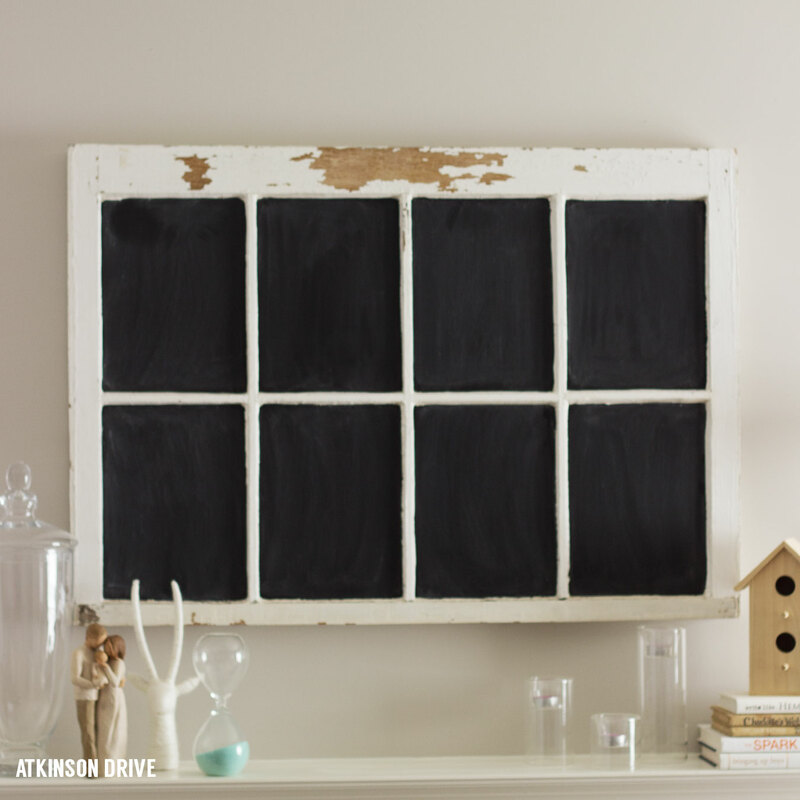 Check out my mudroom Pinterest board! Check out my garage Pinterest board! The open loft upstairs has recently become my office / craft space. It’s great because I’m not closed off from the rest of the house, but I have a dedicated space to work. The kids also have a craft area here. Check out my craft-office Pinterest board! My husband’s office also serves as the “library” in our home. We are a book-loving family, and having room to house all of our reading materials is very necessary. So far, I’ve kept the walls white and given the space some “manly” qualities. We’re going for a vintage-y vibe in there. It’s not complete, but it’s a cozy space for my husband to work when he’s home. Check out my library / home office Pinterest board! Disclaimer: these photos look nothing like our current space! The bed has moved (and gotten larger), and I have added a seating area where I can feed my little guy at night. Other than that, the color scheme is the same. I’m going for a rustic/glam/modern vibe. Check out my master bedroom Pinterest board! Literally nothing has been done in here since we moved in … except for adding some towel hooks by the sinks. But, it is my goal to at least get some better pictures for you guys! Check out my master bathroom Pinterest board! Sadly, very little has been done in our kid’s bathroom also. At one point I did have paint swatches up, but I painted back over them. I’m having a hard time nailing down a theme, but I think I’m leaning toward a vintage feel with some bright colors. Check out my kid’s bathroom Pinterest board! My oldest son’s room is undergoing a “big boy” transformation. Because he is still growing and has changing tastes, I am keeping his walls neutral. Pops of color are being added through accessories and bedding. Check out my little man Pinterest board! My baby boy’s nursery is probably my favorite room in the whole house! Again the walls are staying white, and I’ve brought color in with art and accessories. 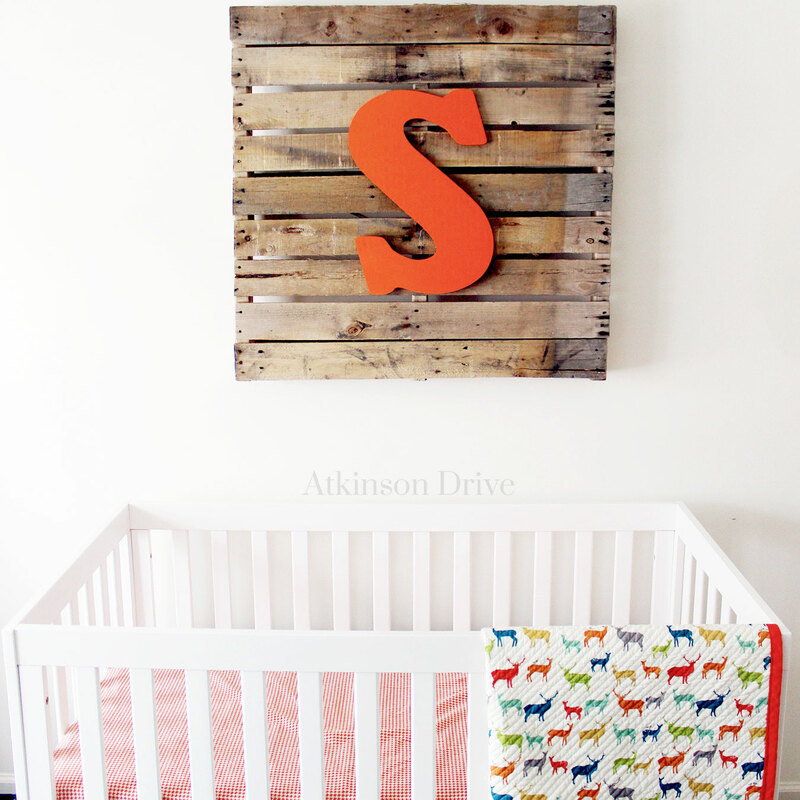 Check out my rustic nursery Pinterest board! And that concludes our home tour. I hope you enjoyed!